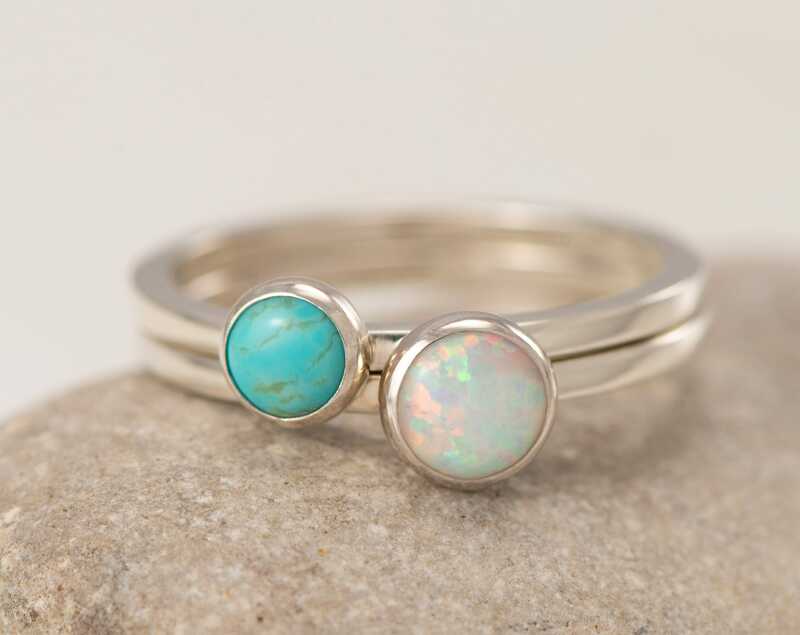 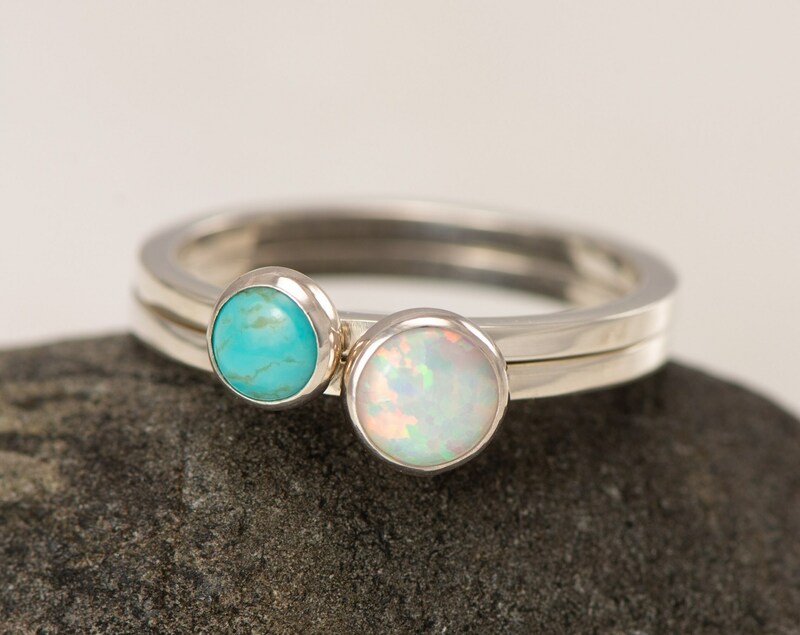 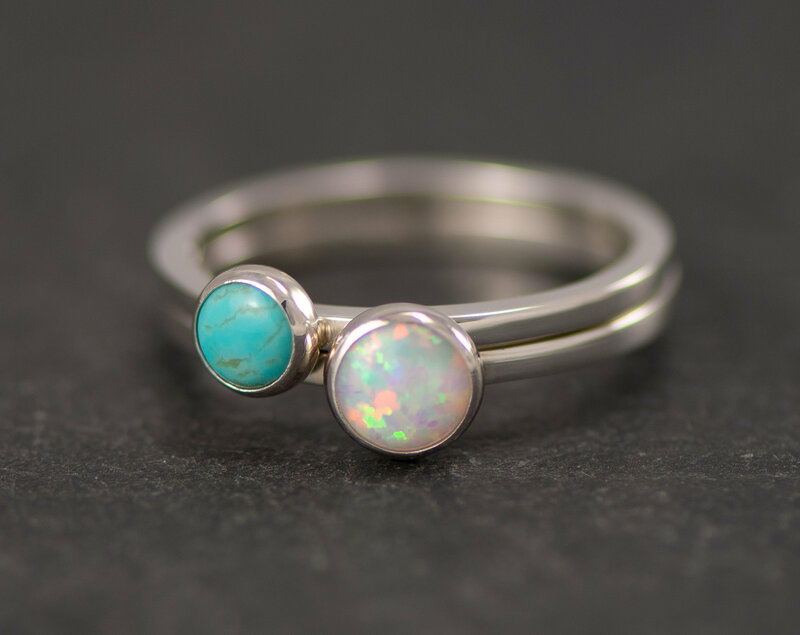 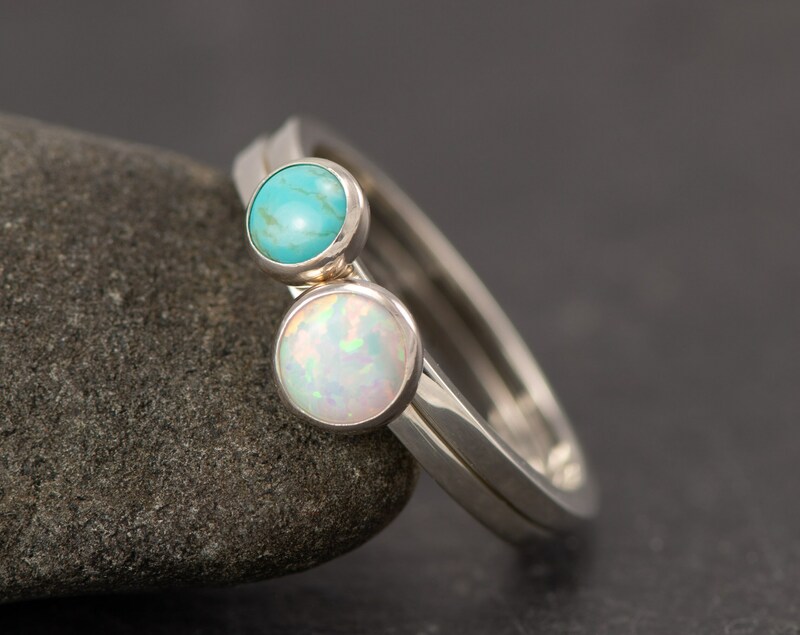 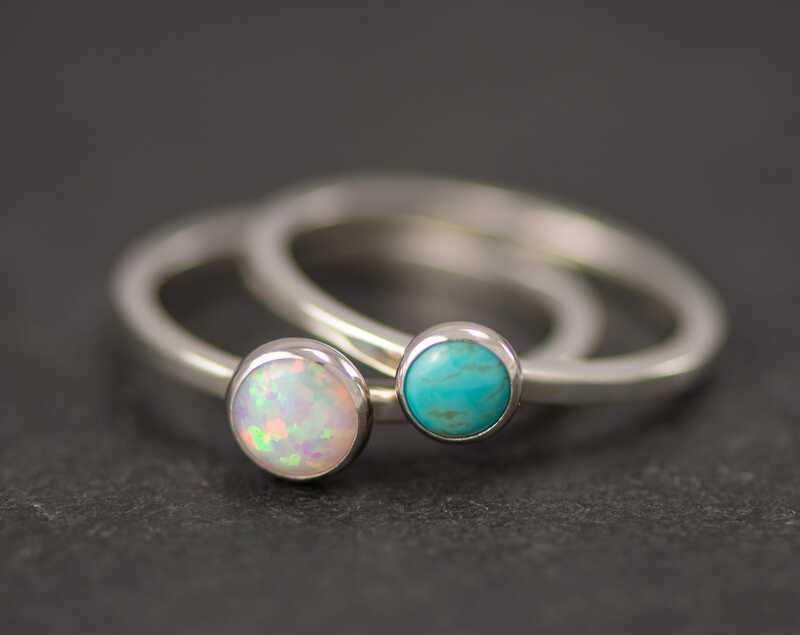 This stacking ring set is designed with a square sterling silver band accentuated with a large 6mm lab opal gemstone & a smaller 5mm turquoise gemstone. 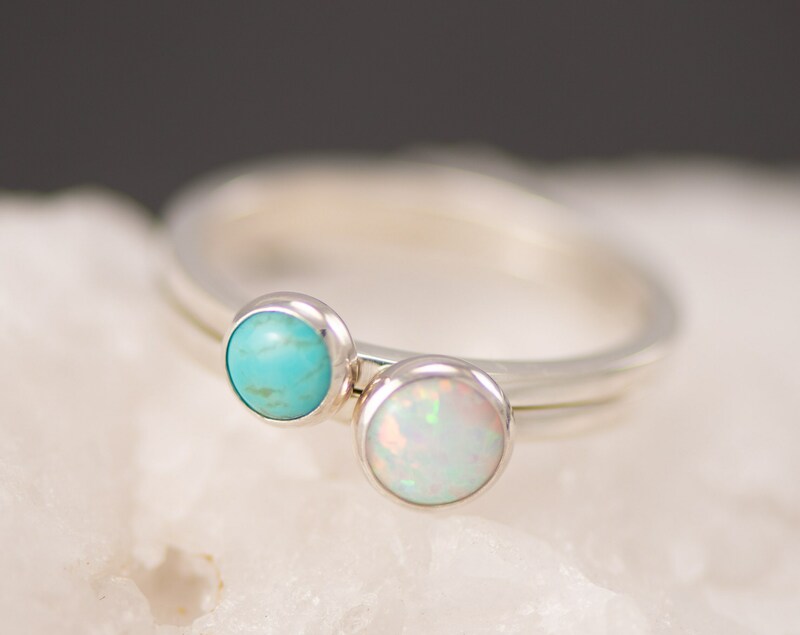 The turquoise compliments the flashes of blue fire in the opal. 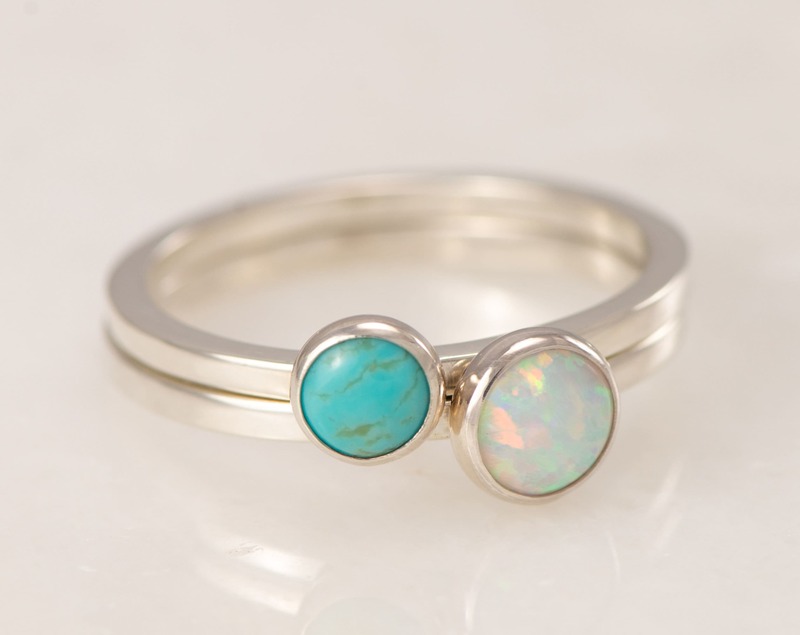 This modern stacking ring set was designed for a comfortable fit making it perfect for everyday wear.